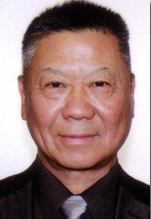 Speaker 2018 - TSU-TSAIR CHI, Ph.D.
TSU-TSAIR CHI, Ph.D., born in China, came to the US and earned his Ph.D. in Biochemistry from the Waksman Institute of Microbiology at Rutgers State University, New Jersey in 1978. Since then, he has been involved in Infectious Disease work at E.R. Squibb and Sons, Inc. in New Jersey and Cancer Screening at Warner-Lambert/Parke-Davis Co. in Michigan. He was also the Laboratory Director at Omicron Incorporated in Redlands, California where he worked in the fields of cancer and atherosclerosis. In 1988, Dr. Chi developed a California state-licensed Neostop Anti-Tumor Vaccine for poultry. He has also received a patent for the detection of antibodies against a chronic gonadotropin-like substance. He will speak on Angiostop For Cancer Management.